Musoma is a small town located in the northeastern corner of Tanzania, right on the shores of Lake Victoria. The local market shown in the picture is close to the lake shore, where one can see a pile of small dried fish known as “dagaa” in Tanzania. This fish is the silver cyprinid, (Rastrineobola argentea). Quite often, dagaa is sold in such market by scoop. Dagaa fishing in Lake Victoria is done using light attraction during moonless nights where 10-mm mesh nets is the official size. Unlike other small fish in Lake Victoria, “dagaa” –being a fast swimmer- was able to withstand the predation pressure caused mainly by the introduced Nile perch, (Lates niloticus). That is why “daaga” is not considered a threatened species by the IUCN. Captured daaga is sold to traders from and marketed for human consumption, or fish meal production. Dried dagaa is produced by sun-drying which is often done by women. It takes one day or more to complete the sun-drying depending on the weather. 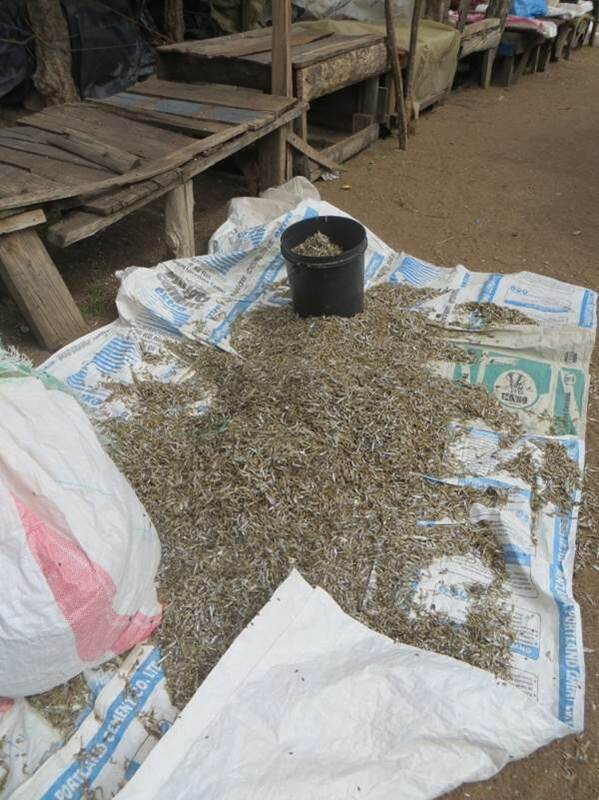 The dried fish is marketed in local markets and/or sent to a major wholesale market for dried dagaa is in Mwanza, and from there it is transported all over eastern and southern Africa.